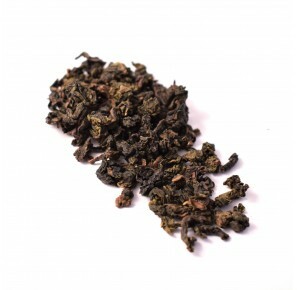 Tea from the Chinese Fujian province, known for the production of oolong tea. The leaves are highly oxidized and roasted. 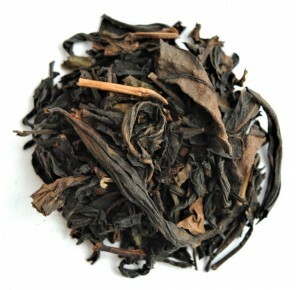 A classical oolong tea with a very correct, sweet and bitter taste with a noticeable tones of freshly baked bread and nuts. Ideal tea for everyday drinking, good for multiple steepings. The package contains 125g of tea. Oolongs are a group of teas traditionally harvested in China and Taiwan. During manufacture the the oxidization process is interrupted, which results in an interesting, pleasant taste. 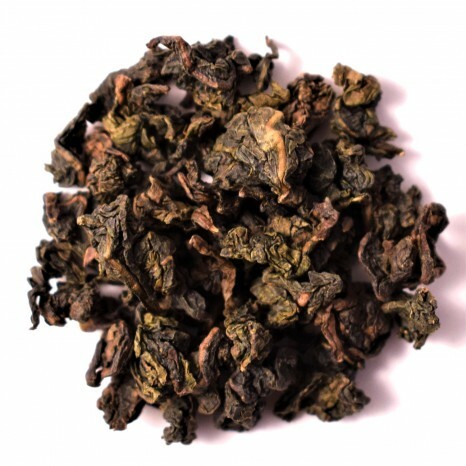 If the oxidization level is less than 30%, the oolong develops attributes similar to green teas; If it exceeds 60%, it becomes similar to black teas instead. These teas are known for their woody aroma, as well as a gentle, fruity flavor. They possess an unique fragrance as well. It is said that within the teapot they take on the shape of a dragon, and thus they have been labeled as "dragon teas". 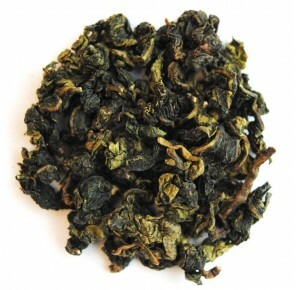 Some Oolong (alt. Wulong or Ulung) teas are regarded some of the best teas in the world, and so the prices of exclusive and unique varieties are very high. The treatment process begins with the withering of leaves. After losing moisture, the leaves are placed in wicker baskets and shaken from time to time, in order to rub the edges of the leaves' laminas, easing the oxidization process. The chemical compounds within the leaf react with Oxygen. After a few hours, this process is interrupted by drying the leaves. An Oolong tea contains whole leaves, since they undergo special folding processes. There are numerous varieties of Oolong teas, depending on the place of origin, oxidization level and final treatment of the leaves. According to the research published in Archives of Internal Medicine, daily consumption of even half a cup of either green tea or an oolong may reduce the risk of hypertension even by 50%. 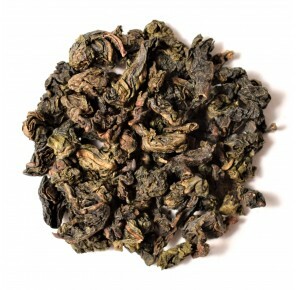 Oolong teas contain a low amount of caffeine, so even drinking one in the evening should not cause any sleep problems.